David Dunlap, Director of Sennheiser Aviation is our guest this week. We talk about analog and digital noise reduction technology as it applies in the cockpit. 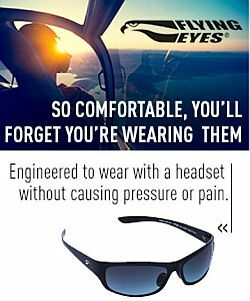 Find Sennheiser Aviation on Facebook, and check out the Sennheiser S1 Digital aviation headset. In this week’s Australia Desk Report, Steve and Grant talk about Tiger Airways new CEO, the Qantas search to find an appropriate name for its new Japanese airline brand, Grant’s conspiracy theory, Virgin Australia at the recent APEX Awards, and the RAAF getting 5th C-17A Globemaster III. Find them on the Plane Crazy Down Under podcast, and follow the show on Twitter at @pcdu. Steve’s at @stevevisscher and Grant at @falcon124. Matt Falcus is the author of Airport Spotting Guide:Europe, he’s a journalist, and private pilot. He joins Pieter Johnson this week on Across the Pond to talk about the best places at major airports in Europe to watch aeroplanes, take photo’s, and stay within the law. The Guides can be purchased from Matt’s website http://www.airportspotting.com/ and he can be found on Twitter at @airportspotting. You can find Pieter on Twitter at @Nascothornet. 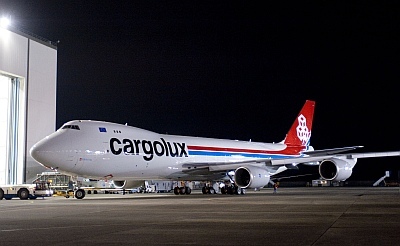 This entry was posted in Episodes and tagged accident, air racing, B747-8, Cargolux, FAA, Frontier, headsets, UAV on September 20, 2011 by maxflight. Citing a need to create equity for payment of air traffic control (ATC) services, the White House Monday unveiled a plan to charge a $100 ATC fee for most operations in controlled airspace. The proposal, part of President Obama’s American Jobs Act plan, came a week after the administration outlined legislation to increase depreciation schedules for corporate aircraft from five to seven years. The president began to indicate his desire to close tax “loopholes” for the wealthy and corporate jet operators earlier this spring. The fee would apply to all operators flying in controlled airspace, with the exception of military aircraft, public aircraft, recreational piston aircraft, air ambulances, along with aircraft operating outside controlled airspace and Canada-to-Canada flights transiting U.S. airspace. David Dunlap’s discussion about noise cancelation was fascinating. The idea of sampling the noise background and then self updating the noise cancelation settings is a stroke of genius. Show notes and out takes were a riot as always. Thanks, geeks! Thanks for the feedback, Jamie. After the episode, I met David Dunlap at the Sennheiser booth at the AOPA Aviation Summit in Hartford. He’s a great guy and if you have even the slightest question or issue he’s all over it. Clearly a guy that understands customer satisfaction. It’s really refreshing!